Posted by erteltb on Tuesday, July 12, 2016 in Crescendo, News. Tenor Tyler Nelson joins the Blair faculty as an associate professor of voice.Nelson is one of America’s most promising young tenors and already enjoys success with a wide variety of concert repertoire. His recent engagements have included a performance of the Britten Serenade with the Utah Valley Symphony, Beethoven’s Ninth Symphony with the Saginaw Bay Symphony, Mozart’s Requiem and Bach’s St. John Passion with Salt Lake City Choral Artists, and Orff’s Carmina Burana with the California and Reno symphonies. He has appeared as a soloist on the stages of the Kennedy Center and at Carnegie Hall. Nelson also has a wide range of operatic experience. 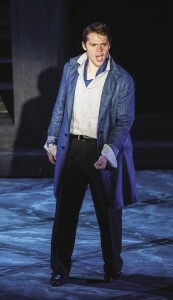 He is a frequent performer with Ohio Light Opera and has performed at the Castleton Festival under the baton of Maestro Lorin Maazel in numerous productions, including as Almaviva in Barbiere di Siviglia, a role he performed at the Castleton Festival and with the National Center for the performing arts in Beijing, China. His international debut was in Mazatlan, Mexico, performing the role of Shallow in Gordon Getty’s Plump Jack, under the direction of the composer. 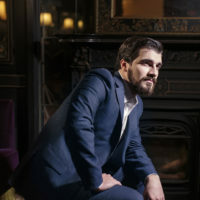 His recent seasons have included debuts with Chicago Opera Theater in the role of Delfa for their production of Giasone, and a return for their production of Médée. Upcoming engagements include a return to the Castleton festival as Gonzalve in L’heure Espagnole, and a debut with Opera Omaha as Trin in La Fanciulla del West. 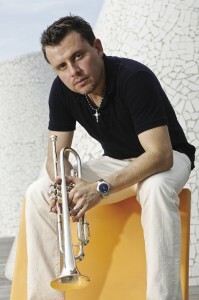 Internationally acclaimed trumpeter Jose Sibaja will join the Blair faculty as associate professor of trumpet. Sibaja replaces outgoing Professor of Trumpet Allan Cox, who retired at the end of the 2015-16 academic year. Sibaja will take over the trumpet position in the Blair Brass Quintet and will work closely with the Blair School’s burgeoning jazz program. A highly versatile performer, the Costa Rica-born musician is equally comfortable in classical, Latin, jazz and pop music. His career has ranged from international appearances as an orchestral soloist with Orquesta Sinfónica de Venezuela and Orquesta Sinfónica Nacional de Costa Rica to performing with Ricky Martin on the “Vuelve” and “Living la Vida Loca” international concert tours. He has served as principal/co-principal trumpet of the Orquesta Sinfónica de Venezuela, Sinfonietta de Caracas, the Miami Symphony Orchestra, the West Palm Beach Symphony, and Florida Grand Opera, and he has been lead trumpet of the Boston Brass since 2006. Sibaja is a two-time Grammy and three-time Latin Grammy winner for recordings with Gloria Estefan, Luis Enrique and Elvis Crespo. He has also recorded with Ricky Martin, Alejandro Sanz, Rey Ruiz, Tito Nieves and Celia Cruz. As a teacher and clinician, he has been a visiting professor at conservatories in Venezuela, Finland, Singapore and Poland, and he has presented concerts and master classes throughout the world. 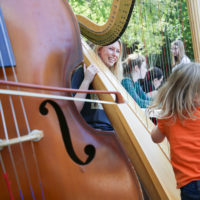 Harpist Licia Jaskunas will join the Blair School as adjunct artist teacher of harp following the retirement of Marian Shaffer, adjunct professor of harp. 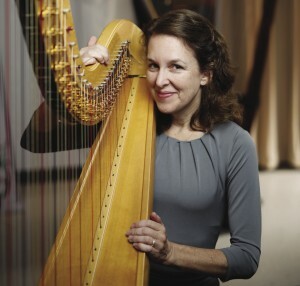 Jaskunas has been principal harpist with the Nashville Symphony since 1998. 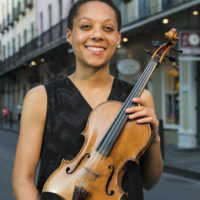 Previously, she played with the New World Symphony for two years and spent four summer seasons with the Utah Festival Opera Company. 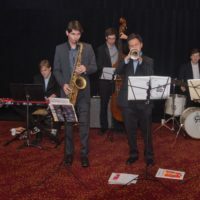 She also performed with orchestras of the Tanglewood Music Festival, the Pacific Music Festival and the Spoleto Festival. 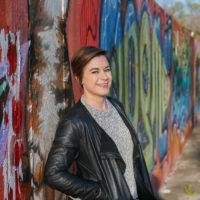 She received her bachelor of music and performance certificate at Indiana University and her master of music from the Eastman School of Music. She won the American Harp Society’s National Competition in 1987. She has been a member of the Grammy-nominated ALIAS Chamber Ensemble, one of the resident ensembles at Blair, since 2003.